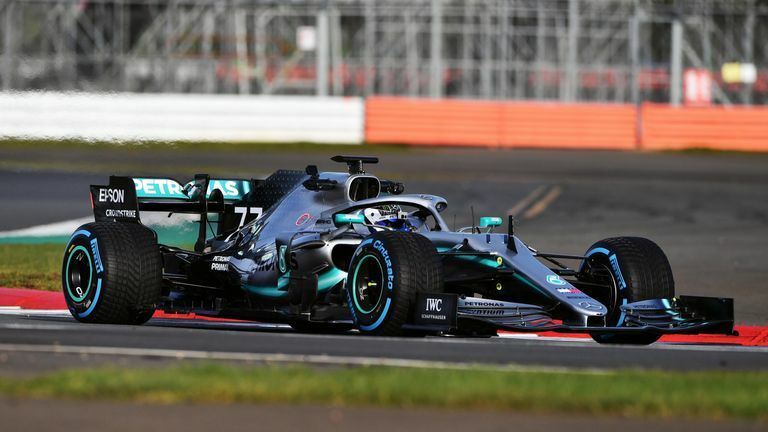 Following its online launch, the W10 was driven by Valtteri Bottas on its debut shakedown run at Silverstone when it was captured by Sky Sports F1's cameras. The car carries the hopes of Lewis Hamilton as the reigning F1 world champion goes in search of a sixth world title. Mercedes themselves have won the Constructors' World Championship in each of the last five campaigns. Why is a new car 'shakedown' so important? Lewis Hamilton: "Driving the new car is like meeting someone new for the first time - you want to get to know them the best way as quick as possible as you embark on a journey together." Valtteri Bottas: "You never know what to expect and so it's exciting to jump in the car and discover it, to try to get a feel of the balance of the car and its behaviour. We do already push the car in the shakedown to get a feel for it." What's new on the F1 2019 cars? Technical chief James Allison: "The shakedown is just one of roughly 90 planned events of sub-system testing and steps along the path... But it is a special moment because the shakedown is when the new car turns a wheel for the first time. We hope to knock off those precious few kilometres that we're allowed in a shakedown with no flaws and we want all those systems to work, giving us confidence that we can take the car to Barcelona and expect to hit the track hard from the very first kilometre." Get the dedicated Sky Sports F1 channel - the exclusive home of all F1 - for £18 a month in HD with no contract.Get Sky Sports F1.